This is an account written by Martín Barco of the archaological site of Checta, located in Canta Lima, Peru. 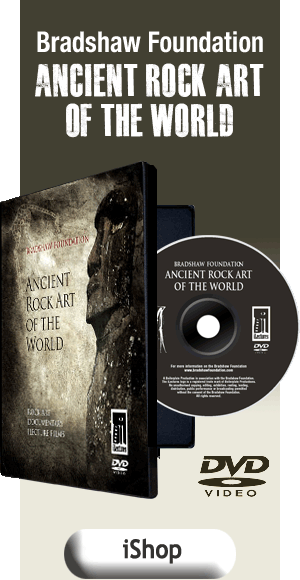 Checta represents one of the most important rock art sites in Peru, and forms the basis for the Bradshaw Foundation's South America Rock Art Archive, from which we hope it will grow. 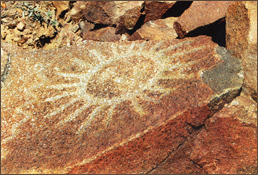 His research at Checta highlights both the sheer number of ancient petroglyphs as well as the clear and present need for their preservation. 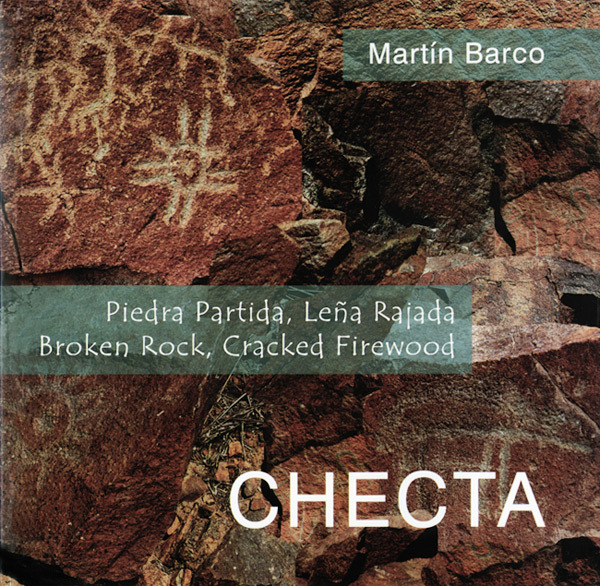 In 2007 Martín Barco documented these petroglyphs in his publication 'Checta: Broken Stone, Cracked Firewood' ISBN 978-9972-33-519-8. Clearly, these prehistoric petroglyphs mark a sacred site. Local Peruvian legend would have it that as early as 3,000 BC there existed a mountain lake with extensive temples, all evidence of which was erased by a massive landslide. This is unproven, but the petroglyphs, depicting a wide range of motifs, are clearly the only surviving remnants of a mysterious past culture. The word Checta means 'broken rock or cracked firewood' in Quechua, an ancient language still spoken in some parts of the highlands of Peru. 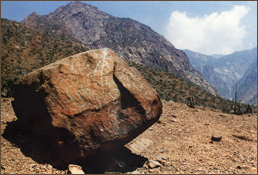 The Checta Petroglyphs, discovered in 1925 by the priest Pedro Villar Cordova, are composed of almost 100 rocks, depicting approximately 450 carved images which resemble humans, animals, plants, celestial bodies and other drawings with abstract characters of difficult identification. Most of the petroglyphs face north and northwest. They are scattered in an archaeological area of about 8000 square meters in Querena Hill at the confluence of Alcaparrosa Ravine with the left bank of Chillon River Valley at approximately 1200m in the District of Santa Rosa de Quives, Province of Canta, Department of Lima, in Peru. 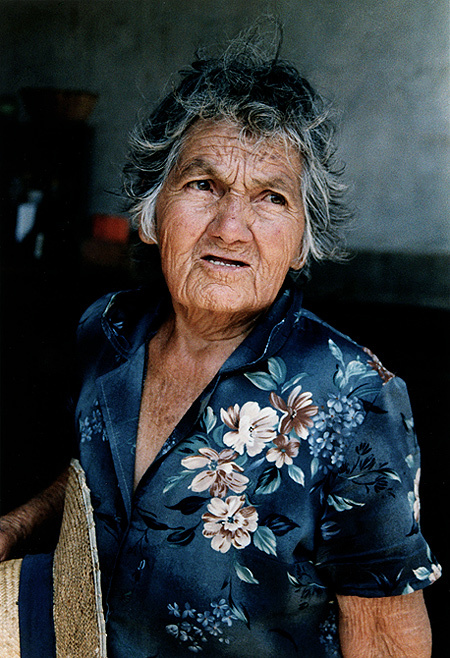 Mrs. Consuelo Livia Aranguren (known as "The Lady of Checta"), is a remarkable elderly woman who devoted almost fifty years of her life in protecting the site. 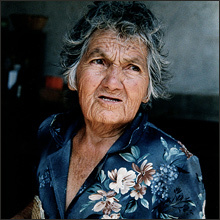 She lived nearby in an old cottage, worked as the non-official guardian of the place without economical retribution and lived to be 85. Inexorably, she passed away in 2005, and since her departure, the archaeological site and its buffer zone has no real protection. The age of The Checta petroglyphs is uncertain; however, according to Villar Cordova, they could have been made by archaic cultures, such as 'the Cantas" 1,800BC, because of the surprisingly analogy between some glyphs and the anthropoid-feline deity of the Chavin Culture. 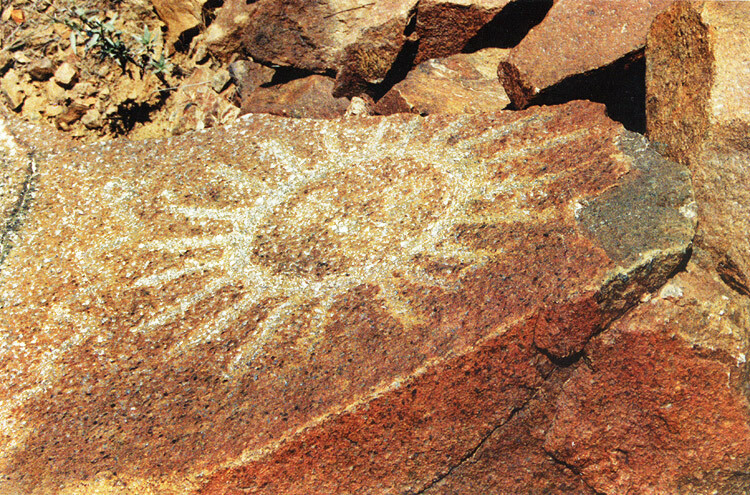 Villar also hypothesized about the purpose of the petroglyphs: he believed that they may have been used for ritual purposes or for tribal land ownership marking. At this stage, it is also worthwhile to summon the name of Mrs. Consuelo Livia Aranguren (known as "The Lady of Checta"), a remarkable elderly woman who devoted almost fifty years of her life in protecting the site. Because of an increasing rate of vandalism and land development movements, Checta is already an endangered sacred site. 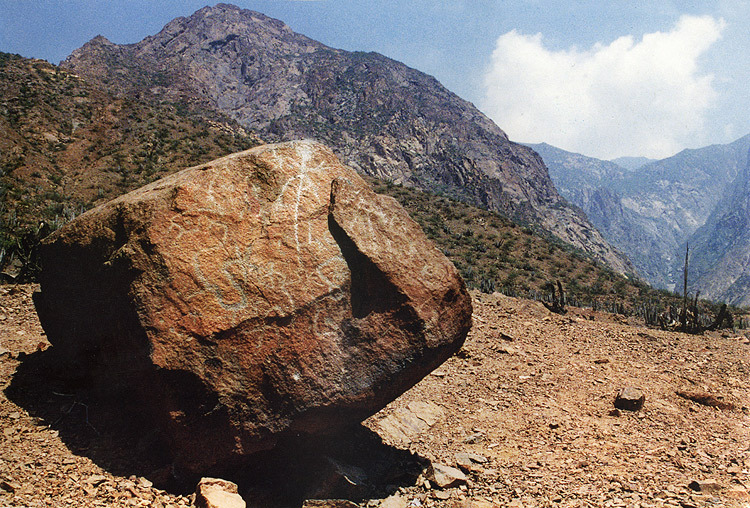 According to a recent report prepared in 2008 by the APAR (Rock Art Peruvian Association), almost the half of The Checta petroglyphs have been vandalized either by having been removed or extracted them from their original location or by having been marked with graffiti. 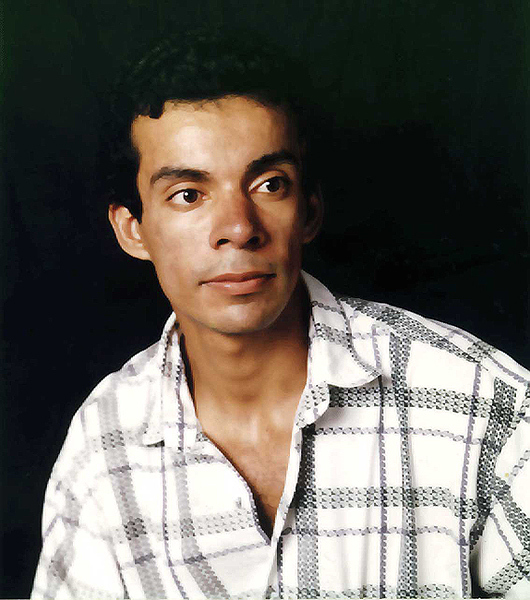 For the The Checta petroglyphs to be preserved, there must be a self-sustaining project with the aim of developing an interpretive center at the site, in order to control public access and in general promote further rock art research in Peru. 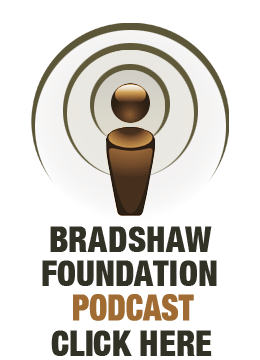 The success of any project, in my opinion, will depend on the approach: the more multidisciplinary, the better; it is vital to be very active in working with school students (mainly with those who study or live nearby) in order to spring in them the sense of pride for such a great ancient legacy.